Offering small hands-on workshops in photo-transfer printmaking using DASS film and solution. Take your favorite photos or illustrations and transfer them to wood, fabric, canvas and paper. Make one-of-a-kind art in a few hours. If there is a special project that you are working on please let me know so that we can best utilize the materials. Workshops are run out of my studio at Lyra Art Studios (Google address is 133 Delaine Street but entrance is on Appleton Street ) in the Olneyville neighborhood of Providence RI. 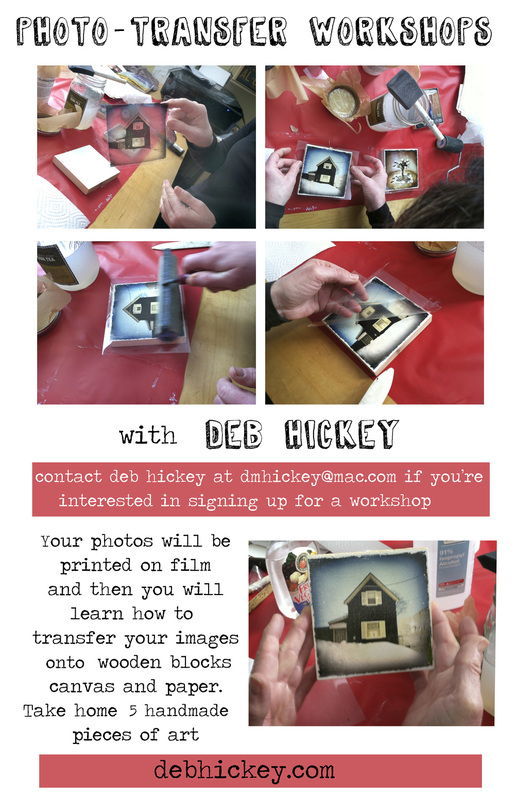 Please contact me at dmhickey@mac.com if you are interested in learning more about photo-transfer workshops or would like help in improving your iphone photography.